They say you can tell a lot about a person simply by the shoes they choose to wear. We say, if the shoe fits (and it’s cute), wear it. Make sure to leave a positive lasting impression wherever you go, care of some fresh new footwear. Scroll on for a few of our favorite styles of the season, plus some tips on how to style them. Tightly braided jute detailing on the soles characterize this quintessential summer shoe. 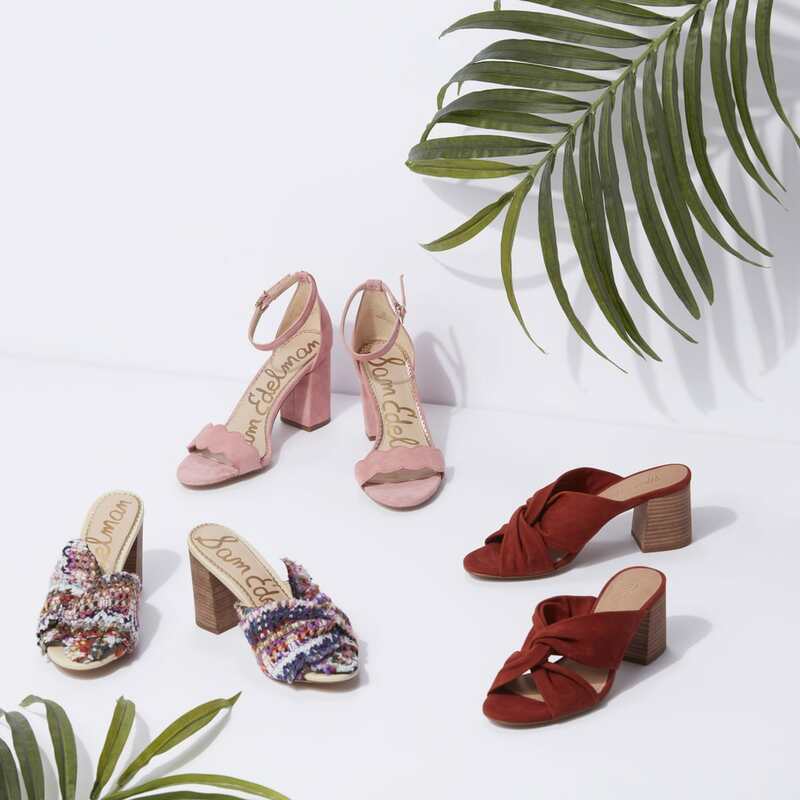 Whether you opt for heeled or platform styles, espadrilles are an easy way to give height to your look. Wear them to brunch with a cute sundress, or with a pair of skinnys and a cropped top for a night out. We can’t get enough of the business in the front, party in the back silhouette of the mule. Given its design duality, it’s no surprise that these shoes are as easy to style as they are to slide on. If your office has a no-sandals rule, these are a great option to pair with ankle-length trousers and a blouse. Or for an off-duty look, go for distressed denim and a tee. One of the main reasons we love block heels? You can wear them for long periods of time without tiring out your feet. Dress up your summer ensembles—be it a billowy dress or a casual pair of jeans—with a poppy, colorful heel. 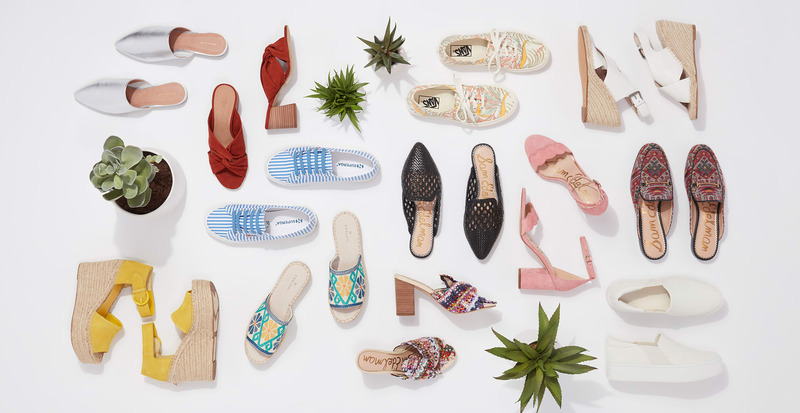 These shoes are proof that comfortable can definitely be cute, too. Walk the walk in a fresh pair of sneakers designed with unique detailing or bright colors for an unexpected twist. Wear them while running errands, hanging with your girlfriends, or wherever the day takes you.